Project ‘Cakes for RAF Odiham’. Safeguarding – guidance on what when and how! You don't have to hold your hands together to pray - talk to God like you would any other friend... and remember to listen for the what he wants to say to you! Prayer, two way communication with God, is central to the way Mothers’ Union supporters live their Christian faith. It surrounds every meeting we have and underpins every project we run. There is also a specific prayer which is used as part of worship when we meet – you will find it at the bottom of this page. Our relationship with God is the main source of inspiration and strength that we have, and prayer builds that personal relationship. That’s why the ‘prayer’ tag on this website is so big… it’s vital to what we do! 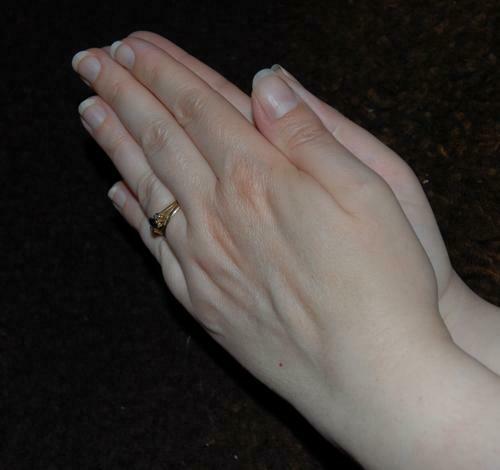 Mothers’ Union supporters also recognise that prayer is something that many Christians struggle with, and that it can be undertaken and described in many ways. Prayer itself needs to be resourced, with time, space, commitment, and inspiration. That is why the postings linked to the ‘prayer’ tag on this website include prayers, reflections to inspire and things to pray for. Please make good use of our ‘tag cloud’ on the left to help your prayers, but if you want to know how people in the Bible prayed, so that they can inspire your personal prayer times, we hope you might find the three reflections below helpful. They are all .pdf downloads which first appeared as articles in our newsletter ‘Archway’ which is available as part of membership of Mothers’ Union in the Winchester region. strengthening and support of marriage and family life. and in love and service reach out as your hands across the world.